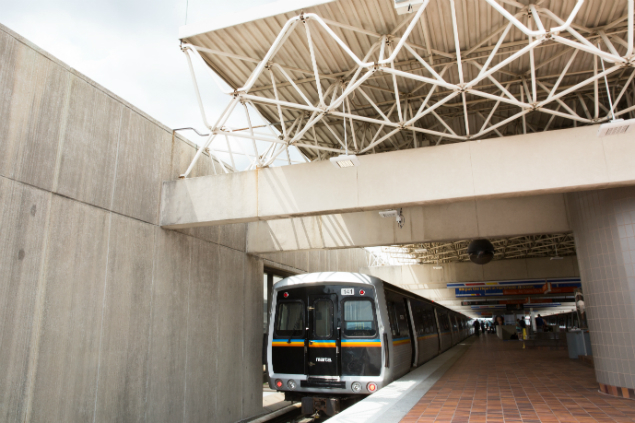 Airport Station is the final station on the south end of the Red and Gold lines. It is nestled in-between the north and south baggage claim areas on the west end of the domestic terminal. 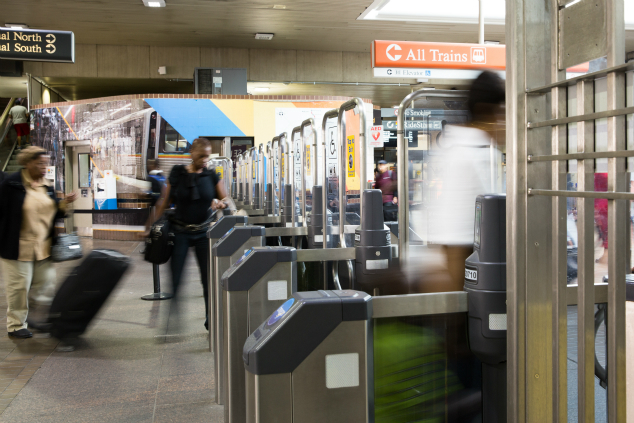 MARTA’s friendly station agents are always available to help travelers. Just outside Baggage Claim you can board the free International Airport Terminal shuttle bus, as well as the SkyTrain connector to the airport’s rental cars. 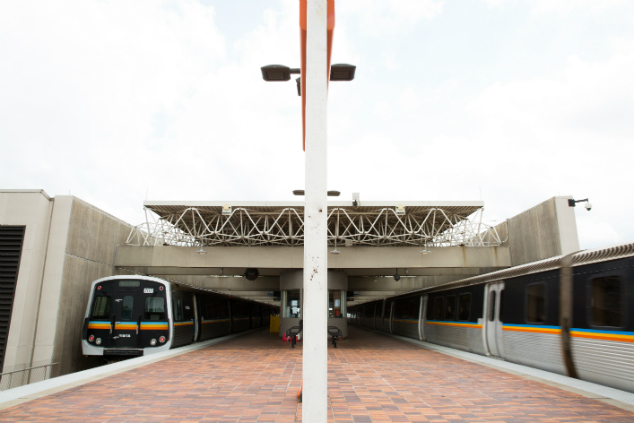 NOTE: if you’re traveling from the Airport to Buckhead, Medical Center, Dunwoody, Sandy Springs, or North Springs stations after rush hour, you may need to transfer to the Red Line at Lindbergh Center station. 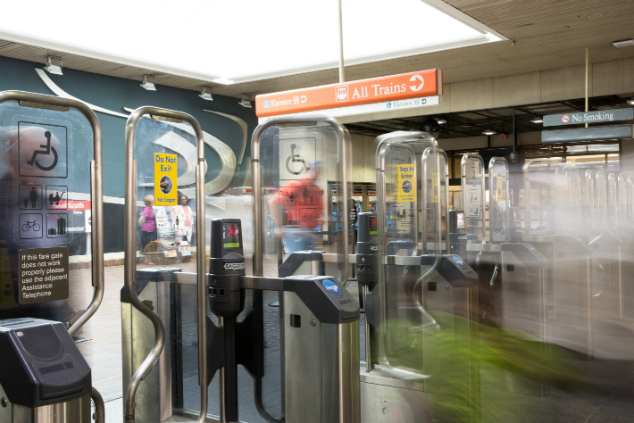 Take the Gold (Doraville) train from the Airport and transfer to a Red (North Springs) train at Lindbergh Center station. 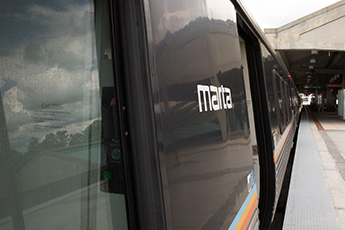 MARTA’s rail service terminates at the Domestic Terminal of the Hartsfield Jackson International Airport. 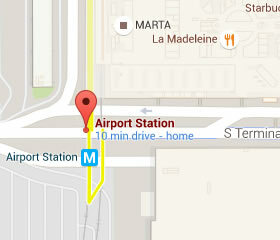 If you are traveling outside of the United States, passengers should check in at the International terminal. Contact your airline for specific check-in requirements.